Regional heats are well underway for the SkillFRIDGE 2018 Competition Series, giving aspiring RACHP engineers the opportunity to demonstrate their knowledge and practical skills and a chance to secure a coveted spot at the National Final. Two heats took place in June; the first on Tuesday 12 at Bath College, followed by Eastleigh College on Thursday 14 – both of which were rich with real talent and high standards of technical knowledge. The other stars of the first two heats were the industry judges; Nathan Ormond of Toshiba, Dave Bartlett of Star Refrigeration, Kelvin Kelly of Business Edge, Ian Lemmon of Beijer, Steven Burge of Cosham Refrigeration and Abdul Pektar of the College of North West London. Sponsors of the competition also gave generously, providing competitors with essential products and vital information to take away – including the F-Gas 517/2014 reference manual by Kelvin Kelly and Martin Cook of Business Edge. The manual has been created in line with the EU 2015.2067 syllabus, on which the F-Gas certificate assessment is based, but covers much more. The competition will now head to Burnley for the penultimate heat at the Practical Refrigeration Training Centre on Thursday 12 July, before this stage comes to a close at the final heat hosted by Grimsby Institute on Wednesday 18 July. Once the regional stage is completed, all competitors will be ranked according to the scores that they achieved at their respective heats. New for 2018, the highest scoring competitor at this stage will be invited to receive a special accolade presented by the Building Engineering Services Association (BESA) at the prestigious Awards, taking place in London on 1 November. The top six competitors nationally will qualify for the next stage and will undergo a series of training tasks in preparation for the National Final – which will give them one final opportunity to impress the SkillFRIDGE judges and be in with a chance to win the coveted SkillFRIDGE gold medal. This year’s National Final will take place at WorldSkills UK LIVE (NEC Birmingham) from 15-17 November. 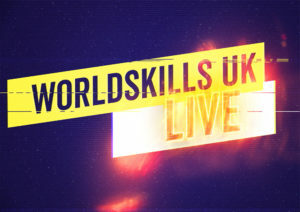 WorldSkills UK LIVE, formerly The Skills Show, is the UK’s largest skills, apprenticeships and careers event, attracting up to 73,000 young people annually. The show plays a pivotal role in the wider mission of its organiser, World Skills UK – a partnership between business, education and Governments that accelerates young people’s careers giving them the best start in work and life. By providing young people with the opportunity to explore a broad range of career paths, get hands-on experiences and expert advice, meet with potential employers and the opportunity to be inspired by other young people competing in skills competitions such as SkillFRIDGE, the show aims to unlock potential and build a sense of excitement about the world of work. The vital nature of initiatives such as SkillFRIDGE is widely recognised, and collaboration with industry is key to maximising the impact of the competition. Sponsoring SkillFRIDGE is a unique opportunity to project your brand to the next generation of engineers and play your part in ensuring that the RACHP sector has a skilled workforce for tomorrow and beyond. A number of leading companies and organisations have already pledged their support, including lead sponsor Toshiba Carrier, brand sponsors A-Gas, Advanced Engineering, Climalife, Dean & Wood, Fieldpiece, Safeflame, and VULKAN Lokring. SkillFRIDGE is also supported by training provider Business Edge and leading associations including BESA, FETA, the Institute of Refrigeration (IOR), REFCOM, and The Institute of Materials, Minerals and Mining (IOM3). With the competition picking up pace, now is the time to get involved. For more information, contact Karena Cooper on 01622 699 150 or at kcooper@datateam.co.uk.